Will Draghi's ECB start scaling back money tap? Greece > News > Will Draghi's ECB start scaling back money tap? ECB chief Mario Draghi is expected to highlight the euro area΄s strengthening economy while underlining the need for caution as the bank inches toward ending its stimulus. But interest rates will not rise anytime soon.The European Central Bank (ECB) has been buying bonds worth 60 billion euros ($69 billion) every month and its current plan foresees no change in the level of bond-buying at least until the end of December this year. The central bank might then gradually reduce the volume of its purchases. But if the ECB should decide it΄s time to cut back its bond-buying activity, that would put an upward pressure on bond yields, particularly those of euro area government bonds. For instance, the yield on German government 10-year bonds rose to 0.6 percent by the middle of last week; it was hovering around minus 0.2 percent a year ago. 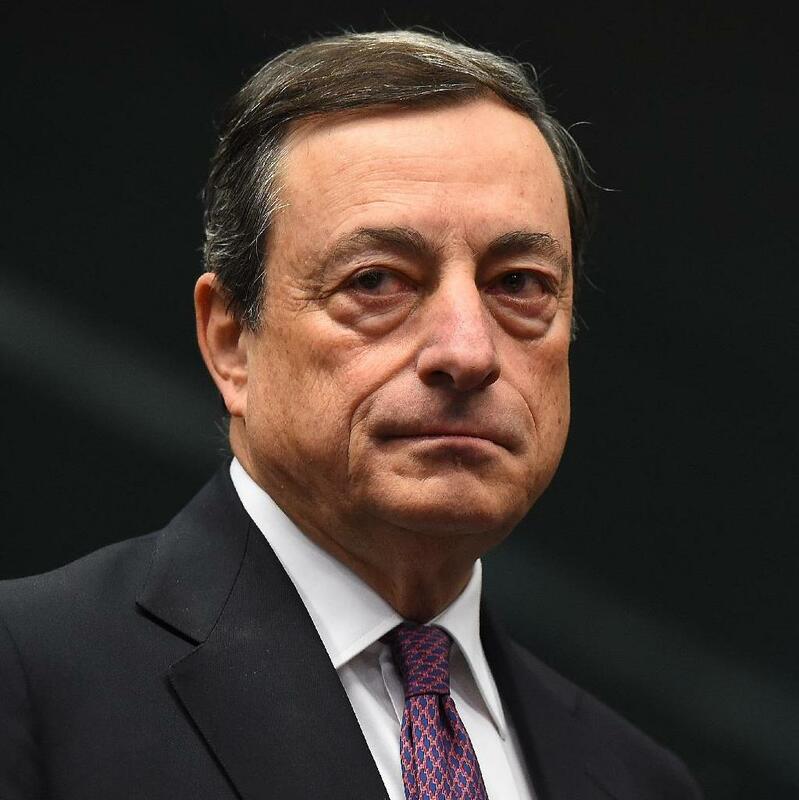 "ECB chief Mario Draghi must now perform a tricky balancing act; he has to prepare for the eventual adjustment in the bond purchase program while simultaneously focusing on preventing an excessive increase in yields," says Hartmut Prei?, an analyst at the DZ bank. The ECB will have to pare its program back for technical reasons alone, as the European Court of Justice has ruled that the central bank must not dominate the market for any country΄s debt and prop up government finances. That΄s the reason why the Frankfurt-based lender has restricted itself to purchasing no more than a third of the bonds issued by any country. If the ECB continues at its current pace, it would hit that upper limit with regard to buying German bonds in the summer of 2018. So the ECB is probably moving "at a snail΄s pace" toward exit, says Michael Schubert, an economist at Germany΄s Commerzbank. This intention will be relayed primarily through their communication, prompting market participants to diligently parse through each and every statement issued by the central bank. On Thursday, July 20, if Draghi were to refrain from talking about a possible expansion of the purchase program, it would give a further indication of a potential shift in monetary policy. This cautious approach is necessary because otherwise financial markets could overreact. Such reactions would then counteract the achievement of the inflation target, explains DZ bank analyst Prei?. In the footsteps of US Fed But therein lies the problem: the ECB has yet to push the eurozone inflation rate to its target two percent, a level the bank sees as required to maintain price stability in the monetary union. For this year, the central bank is expecting inflation in the euro area to hover at only 1.5 percent. In 2018, it expects the figure to be about 1.3 percent and in 2019, that΄s projected to rise to 1.6 percent. Draghi΄s ECB therefore faces a tricky balancing act. Caution can also be observed in the moves and statements made by the US Federal Reserve, with Fed Chairwoman Janet Yellen announcing only a few days ago that she wanted to tighten the monetary conditions at a more leisurely pace than had been initially planned. But the Fed has already made the exit from its bond purchases. This task still lies ahead for the ECB, and only after doing that, as the bank has repeatedly stated, will it take the next step and raise interest rates. The Germans have long been yearning for such a turnaround in the rates, as savers in Germany are currently losing money when they park it in fixed-interest securities or in instant access savings accounts. The very low interest paid on credit balances is being eroded by inflation. However, interest rates in the eurozone are not expected to rise anytime soon, although most economists reckon that the ECB could start hiking rates from next year if euro area economic growth picks up enough speed.